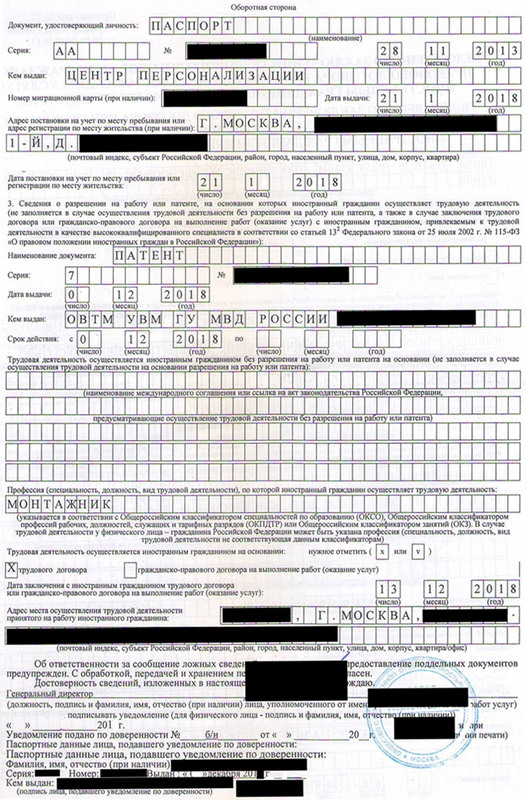 Notice to UVM (Federal Immigrant Service Management): Notice regarding recruitment and leave of employment - Уведомление о привлечении (увольнении) УВМ. As of 2015 it is not needed to make notice to institutions in A,B,C section any longer. A - Notice to Labour exchange - Уведомление о привлечении и использовании центра занятости населения (ЦЗН). B - Notice to Tax Office - Уведомление о привлечении (увольнении) ИФНС. C - Notice to labour office – Трудовая Инспекция -Уведомление о привлечении (увольнении). 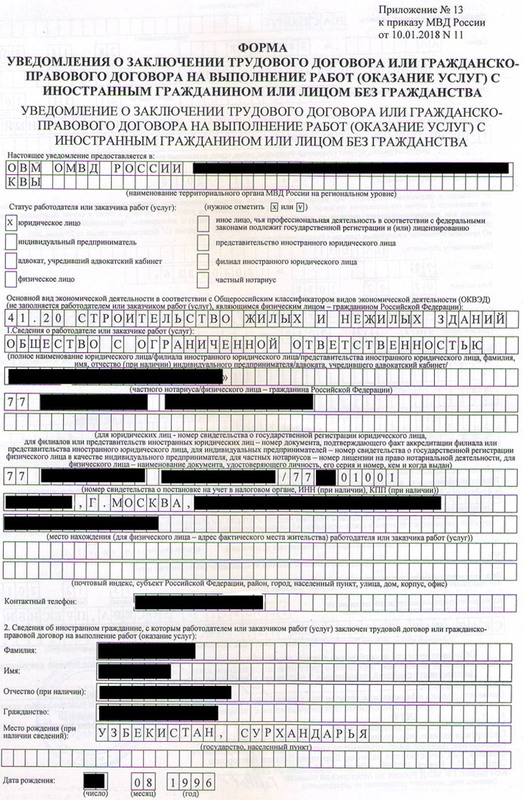 D - Notice to UVM (Federal Immigrant Service Management): Notice regarding recruitment and leave of employment - Уведомление о привлечении (увольнении) УВМ. The employer is responsible for applying procedures regarding employing of foreigners which are stipulated by Russian Federation, within 3 days after signing of labour contracts of foreigners that work in Russian Federation, the same responsibilities are valid also for leaving employment. It must be made notice to UVM (Federal Immigrant Service Management) within 3 days after the abrogation of work agreement.